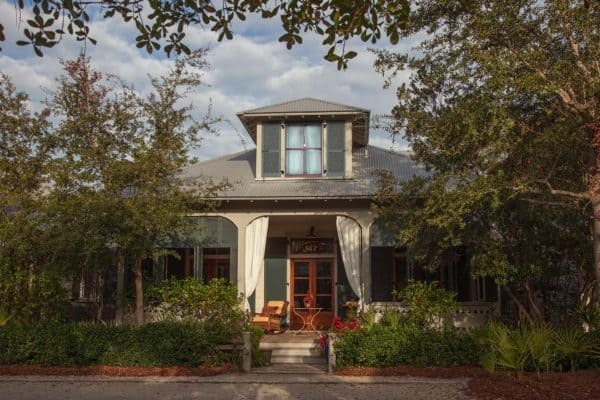 This craftsman style home was designed by Wade Design Architects in collaboration with Jennifer Robin Interiors, located in St. Helena, a city in Napa County, California. 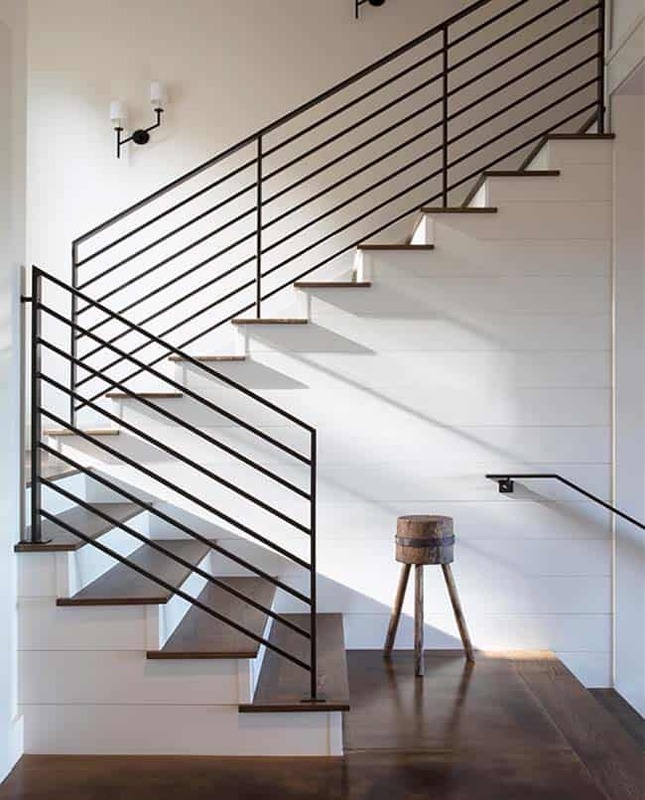 The design team transformed an existing French farmhouse style interior into a dreamy contemporary rural home. The homeowners originally built their dream home in 2001, which overlooks Napa Valley. The drawback to the original design was that it did not maximize the views of the spectacular surroundings. Additional problems with the design included an under-sized kitchen and the master bedroom suite being a jumble. Existing hinged doors were replaced with oversized sliding barn doors. 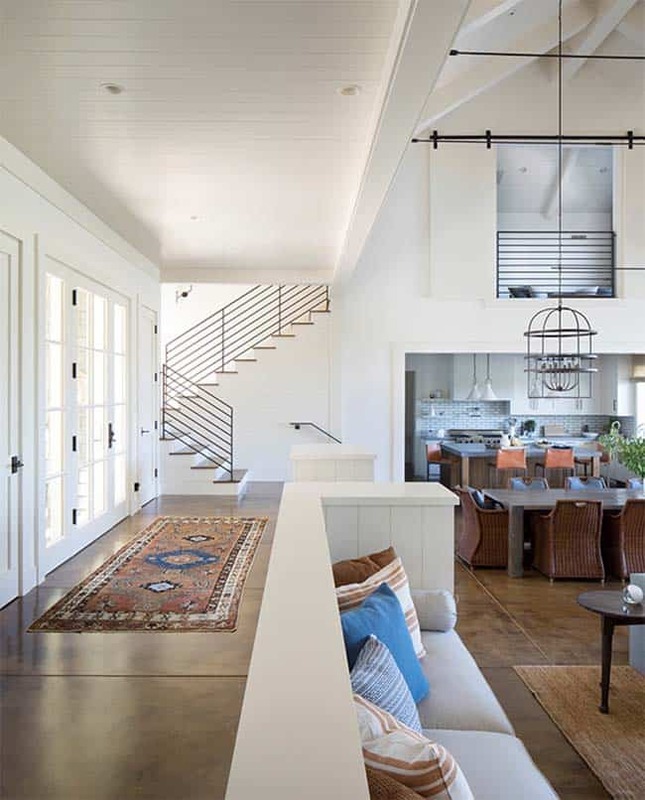 What We Love: The stunning contemporary rural home features a more bright and airy layout thanks to a brilliant remodel. Casual interiors and an inviting landscape makes this home the perfect place to relax and enjoying quintessential California living. The new master bedroom suite is luxurious yet tranquil, just what the homeowners need after a day spent riding and caring for horses… Readers, what are your overall thoughts on this newly renovated home? Please share your feedback in the comments below! 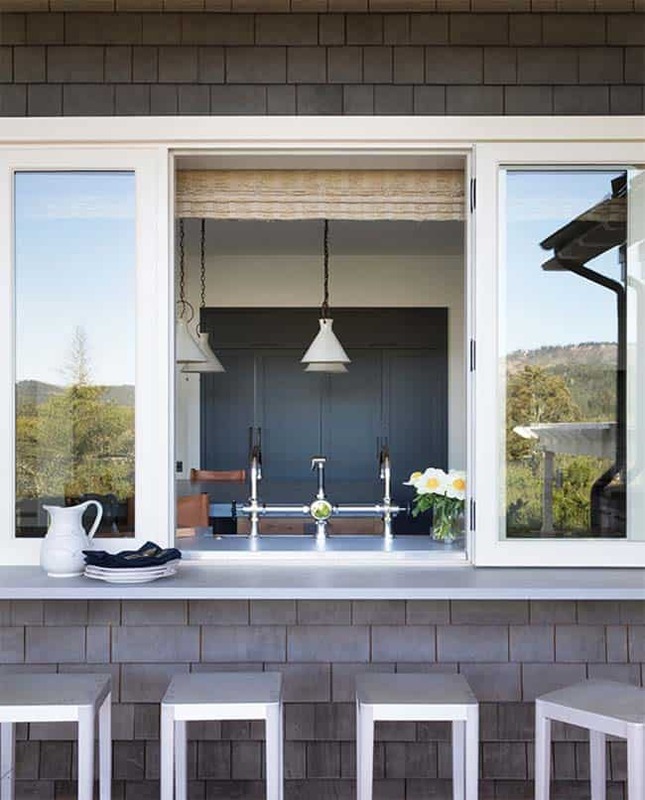 Note: Have a look a couple of our favorite home tours that we have featured here on One Kindesign from the portfolio of Wade Design Architects: Small woodsy cabin features a cozy farmhouse style in Napa Valley and A chic wine country residence boasts amazing entertaining spaces. Above: The square footage of the kitchen was increased by using space from an adjacent hallway. The existing flooring in the kitchen was severely cracked and needed a new radiant heating system installed. 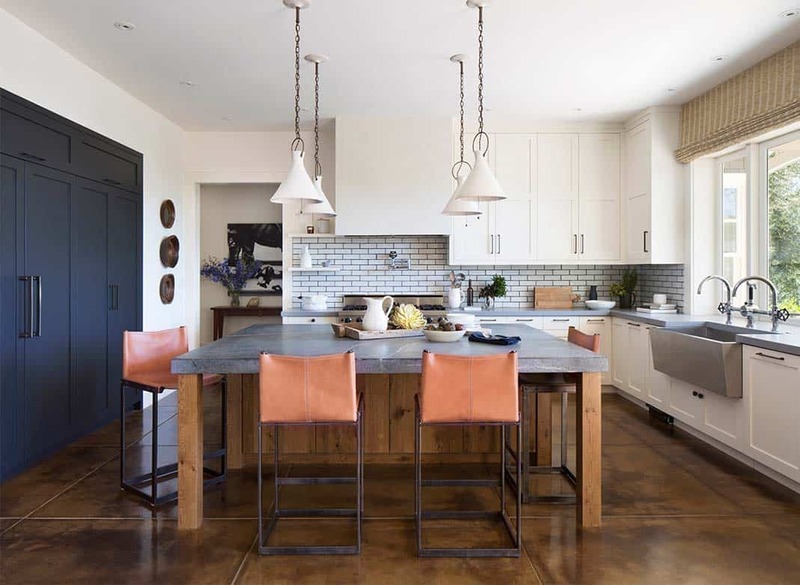 The design team matched the original concrete color and its patina. 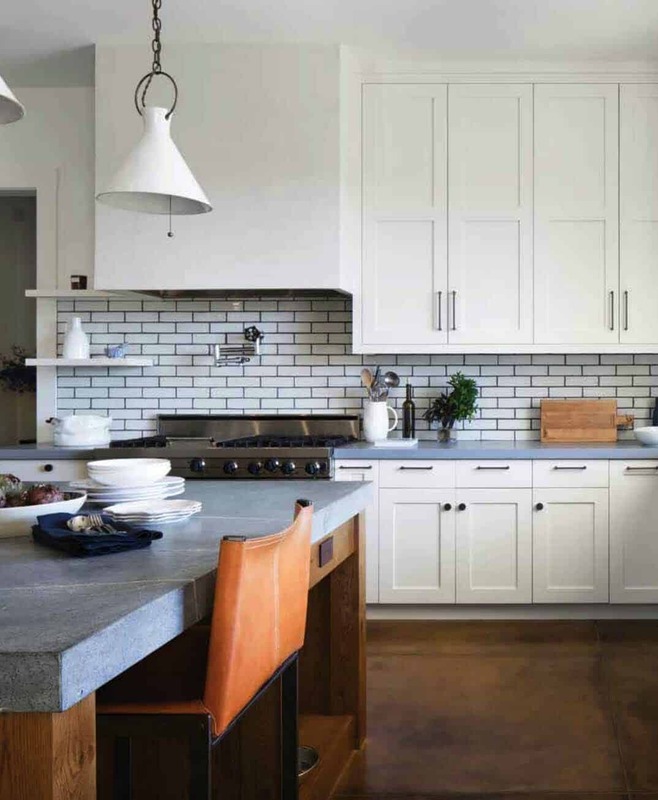 Above: Gray soapstone countertops compliments the bright white cabinetry. Hanging over the island is a quartet of glazed stoneware funnel pendants. 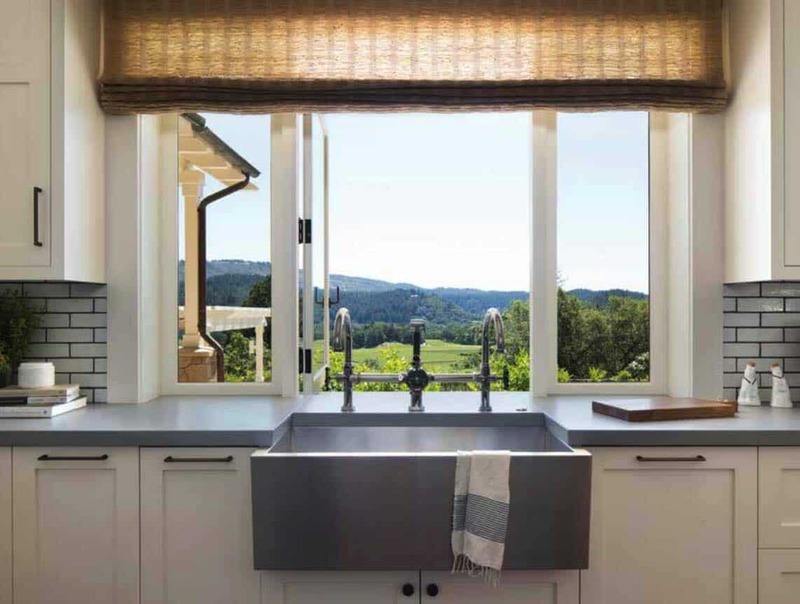 Above: The window above the sink frames views of the spectacular Napa Valley landscape. The sink faucet is the Regulator Gooseneck Double Spout Marquee Kitchen Faucet with Matte Black Wheel Handles and Spray, Waterworks. 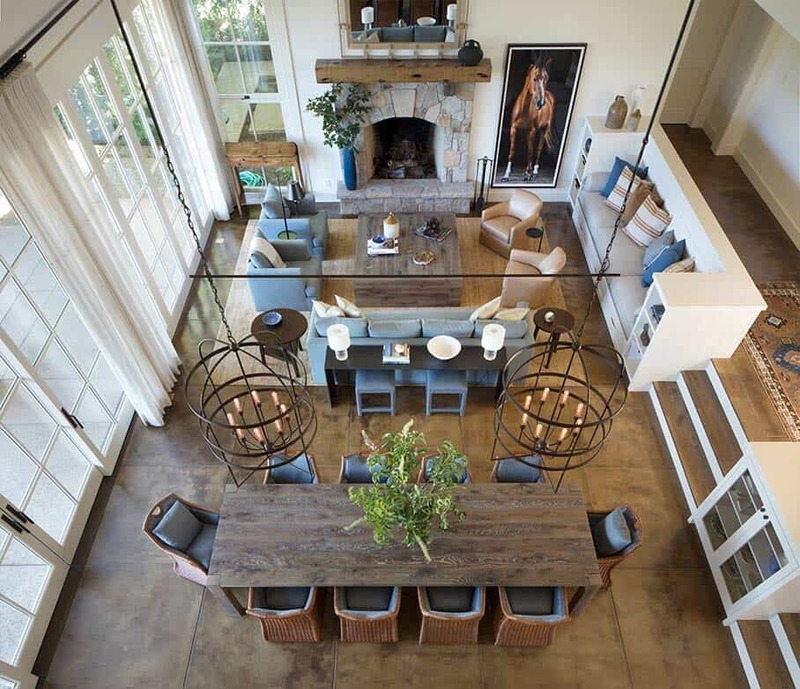 Above: The expansive great room features soaring cathedral ceilings. The living and dining spaces were unified with a neutral color palette punctuated by shades of amber and blue. The dining area features Ralph Lauren wicker chairs covered in Kerry Joyce’s pale blue fabric. 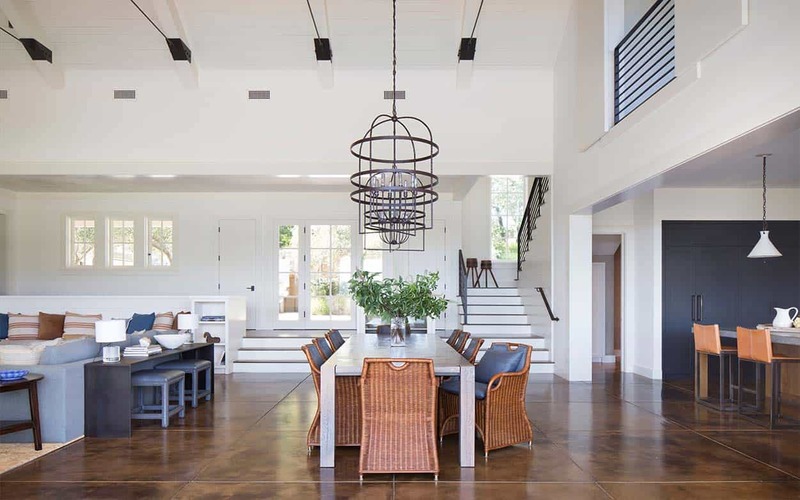 The oak Parsons dining table was custom fabricated by Statsky Design, while a pair of Acadia chandeliers from Ironware International illuminates overhead. 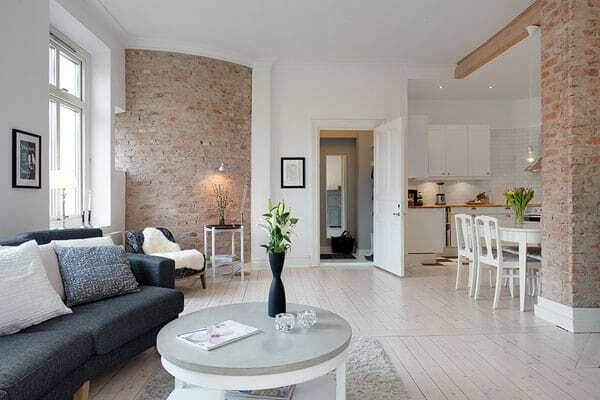 Above: The designer decorated the living room around the fireplace, the focal point of the space. The existing mantel and stone surround were preserved. A mirror from Lucca Antiques was mounted above the fireplace to reflect the great room. 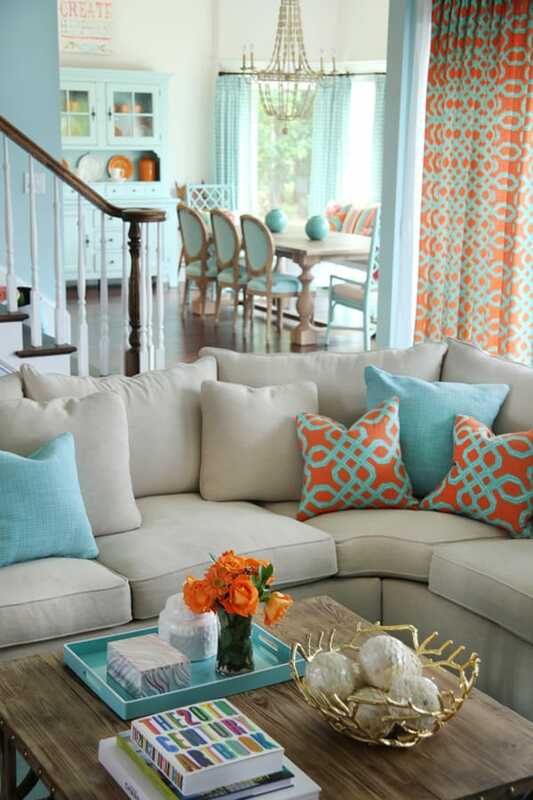 Above: The sofa and lounge chairs are upholstered in a blue-gray fabric by Rogers & Goffigan. Grounding the space is a sisal area rug sourced from Stark Carpet. The coffee table was custom fabricated from reclaimed oak floor joists by Statsky Design. Above: The master bedroom suite was reconfigured to allow for a bright and airy new layout. A rustic canopy bed is complimented by a beautiful storage bench at the end of the bed, sourced from Briggs House of Antiques. Above: The luxurious master bathroom features wall sconces sourced from The Urban Electric Co.
What white color paint did they use-the home is dreamy!